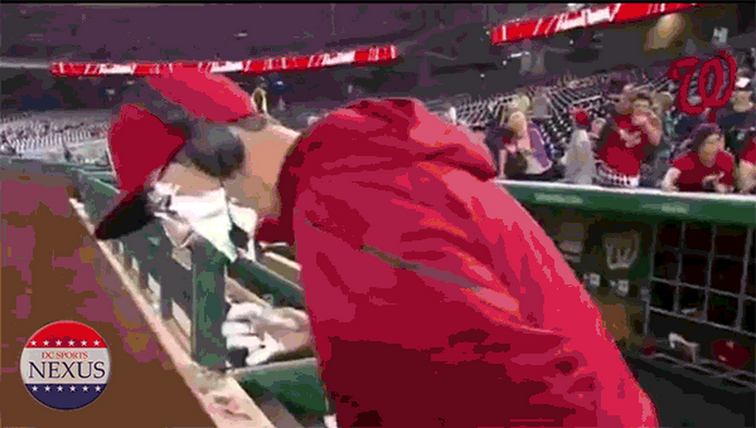 Actually deriving from the Ian Desmond helmet steal (Desmond takes off a Nats player's helmet after they hit a homerun), this new move involves stealing the helmet and then passing it over to Jayson Werth. 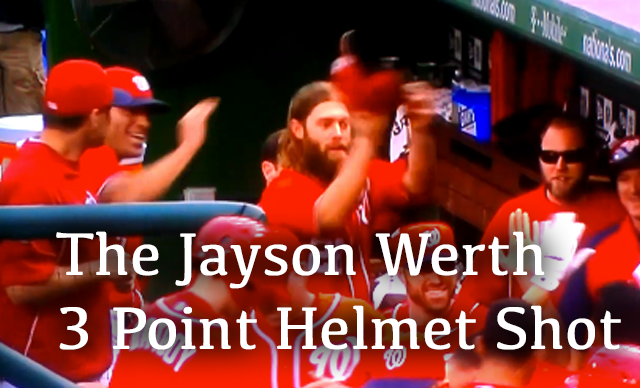 Werth then finds a human basketball hoop and tosses the helmet, nothing but net, as his teammates throw up the three point sign and everyone high fives. Here's an example of this move in action. This celebration just started at the end of the homestand, but Jayson Werth started off making a case to be a new addition to the roster of the Washington Wizards. Werth was 3 for 3 from downtown and it looked like he would never miss. But just as Nats announcer FP Santangelo was hyping him up, Werth shot the brick of all bricks, almost killing someone with the rebound. Being the true professional that he is, Werth didn't let the miss get him down. He ripped down the monster rebound and then slam dunked the helmet home for the easy 2 points. DAGGER! Nats Win!